Last week’s march once again proved that Cambridge students will not tolerate injustice silently. 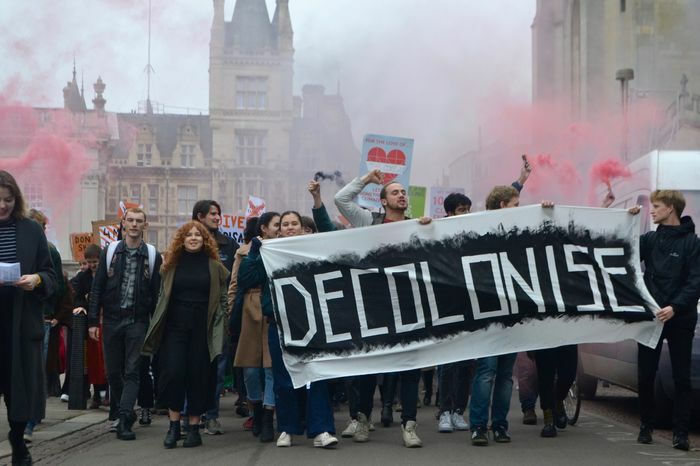 As student activists are well aware, studying at Cambridge gives us unique leverage over the University and its colleges. This is a rare opportunity, one available to very few, which we can use to change things for the better. But the mirror image of this opportunity is often forgotten – we have another voice, an explicitly political voice, as residents of Cambridge. When students push back against injustice, we do not have to look far to find it. Cambridge has previously been ranked the most unequal city in the UK, and we can see the consequences every day. There’s no hiding from it. My college, for example, had an income which outstripped its expenses by more than £5 million pounds in 2016-2017; it spent almost £20,000 on wine for events last year. Yet when I look out of my window at night, I can see the rough sleepers shelter under the shop fronts opposite. There is, at least, a way we can try to right these wrongs, but it’s not glamorous. It’s called local politics. Already the idea may seem faintly ridiculous. “Local politics?” you might ask. “Can you even get anything done at a local level?” The answer is a resounding yes. In fact, we have greater political power here and now than most of us will have ever again in our lives. Students make up about one in five Cambridge residents. In many election wards across the city, vote margins are so small that even tiny fluctuations in student turnout can flip them one way or the other. This combination of factors gives us a rare opportunity to make a meaningful difference, and it’s one we cannot let slip. Local politics does have an image problem. It can look pointless, petty, and slow. But on the ground it looks like building hundreds of new council homes, helping one thousand households avoid homelessness though a homelessness prevention strategy, driving businesses towards paying a living wage, and campaigning for the county council to divest from its £90 million investments in fracking. These are core, bread-and-butter issues for student activists, tackled by a method which is too often forgotten. This is not to accuse student activists of having completely neglected local politics. Nevertheless, the unique opportunities provided to us by living in Cambridge are too often overshadowed by the opportunities provided by studying at the University. Local politics is rarely splashed across the front page of Varsity. Our voice within the University is amplified, our voice within the city is muffled. By this point, some may be wary of where this argument is headed. Am I arguing that student activists should forget trying to change the University, and turn all their energies to local politics? Absolutely not! There is no tradeoff to be struck between the two opportunities. Our dual voices, as students and as residents of Cambridge, are stronger when united. In applying pressure on the University to change, there are few tools better than allied political offices. From Cambridge MP Daniel Zeichner’s calls for divestment, to Cambridge City Council’s support for college Living Wage campaigns, having local political power on your side is an advantage which should not be underestimated. Sometimes it can seem like the University has all the institutional power stacked in its favour; it pays to remember that we have our own, democratic sources of institutional power which we can turn to in response. Local politics has one final advantage which should help tempt the wariest of activists. The lowest level of commitment – registering to vote, making sure your friends are registered to vote, and actually turning out on the day – is quick, simple, and can still make a decisive impact. For those who would like to dedicate more time and energy, there is rich and varied scope for that too. Even outside of local politics, charitable causes offer immense opportunities to make a difference in Cambridge. Local charities are always enthusiastic about the support of students, and engaging in charitable work – volunteering with a food bank or homelessness charity, for example – is one of the most direct ways students can help those in need. Most important of all is that we simply remember what comes with living in a city as unequal and politically malleable as Cambridge: a strong political voice, and the duty to use it.